Free for any puppy under 12 weeks of age! Develop your puppy’s social skills and start learning how to raise a confident, well behaved puppy. Conducted in a fun, safe environment with Brisbane’s premier dog trainers! Learn how housetrain any puppy quickly and easily. Avoid the common mistakes most puppy parents make that lead to frustrating long term housetraining issues. Learn how to teach your puppy to be gentle with their teeth! We’ll help you to avoid the common mistakes most people unknowingly make that actually makes puppy biting worse. Not all puppy socialisation is good socialisation. Learn how to properly socialise a puppy and avoid the common pitfalls that lead to aggression and a host of other behaviour problems. Learn how to manage and entertain your puppy when you’re not around. Avoid issues like separation anxiety. Tips and tricks for keeping puppies happy and out of trouble! Play is an critical part of your puppy’s social, emotional, physical and even neurological development. We’ll teach you how to recognise healthy play and what to do when it’s not. We’ll introduce you to the fascinating world of canine body language. You’ll learn to translate what your puppy is saying to you and others is his own language! Our FREE Puppy Pre-School is held on Tuesday evenings at our Carindale training venue, check our website for available courses. You must enrol via our website by clicking here. Your puppy will be required to have received at least their first set of vaccinations and you will be required to provide proof of vaccination before being permitted to participate in class. When you enrol you will be sent an email detailing a list of things to bring to class and a host of other information you will need to know. Please read this email carefully. Why are we providing a free puppy pre-school? There’s got to be a catch right? Wrong! There’s no catch at all. Come along and get some great education for free. Then continue on to Puppy School or go along your merry way, no strings attached. To introduce you to Urban Dog Training and all we have to offer. We believe once you’ve experienced the support, knowledge, and friendliness of our skilled and highly regarded specialist trainers you will complete your dog’s entire education with us. Where this is not possible, we hope to be able to educate you on how to choose a good puppy school since not all puppy schools are created equal. There are a LOT of badly run puppy schools out there! We’re tired of seeing good people with noble intentions get bad and potentially dangerous advice. People often make the decision on where to educate their puppy based solely on price or location. This is a mistake and we hope to alert puppy parents to this fact. Not all puppy schools are good puppy schools. You’re much better to forgo puppy schooling altogether than to go to a badly run puppy school. Well meaning puppy parents are receiving very bad and potentially dangerous advice at other Puppy Schools run in vet clinics, pet shops and obedience clubs where they’re taught by someone who is not a professional trainer yet thinks they know enough to teach puppy school “because they’re just puppies”. This is the most critical period in their life where good dogs are made or ruined forever. This should never be taken lightly! The mere fact that these venues don’t go on to teach more advanced classes is evidence of their lack of actual dog training knowledge and experience. Do you really want to trust your puppy’s future well being to someone who is just dabbling in puppy classes? Vet clinics and pet shops run puppy schools with their primary motivation being to bond you to their business and sell you products. Their curriculumns are often designed by pet food companies and are aimed at selling you particular brands of dog food, not educating you properly in the training and behavioural wellness of your puppy long term. We feel there is so much critical information that needs to be imparted onto new puppy parents and, even though we already run a 6 week puppy school, we do not get time to cover some subjects as in-depth as we’d like to. We’ve created this course to supplement our puppy school curriculum. Some people cannot afford to do puppy classes with their puppies. Our pounds and shelters are full of untrained dogs and we want to help keep dogs out of pounds and shelters by providing the most critical information to puppy parents and educate them on the importance of taking their dog’s training seriously. We feel that if there is a free service on offer that vets, breeders etc will feel more comfortable persuading their clients on the importance of early training and socialisation. What set us apart from other puppy schools run by dog trainers? We are Brisbane’s most reputable dog trainers, recommended constantly by vets, breeders, pet shops and groomers. Our word of mouth is second to none. Check out our Facebook following and see for yourself how engaged we are with our clients. We have a strong community of support available to assist you with raising your puppy. We are award winning trainers. We set the benchmark that all other trainers slavishly attempt to follow. We view their constant attempts to emulate us as the highest form of flattery and confirmation that we’re doing things right. We regard educating puppy parents as our most important function and dedicate one of our senior instructors, Paul Shelbourne, to teaching new puppy parents in puppy pre-school. Our classes are not taught by young girls who “just love puppies”. Our instructors are mature men and women (no one under 25) who are intelligent, well educated and love working with people. Unfortunately the dog training industry is dominated by “dog people”. Identifying with and loving dogs does not make you a good dog trainer. The ability to pass your knowledge onto people in an engaging manner does. Most dog trainers are impatient at best, utterly intolerant and unable to communicate effectively with humans at worst. You will find our instructors not only skilled and professional but warm and friendly. We pay our instructors since skilled people do not work for free. What most people may not know is that in our industry most people are amateur ‘trainers’ who volunteer their time to teach classes. We want only high calibre people working at Urban Dog Training and we attract just that. We don’t have to settle for people who are willing to give up their time for free. We work with only the best people in our industry. We accept no payments or kick backs from anyone. When we make recommendations you know they’re in your best interests, not ours! We don’t put puppies behind screens at our venues as some others do. We are professional trainers who have the skills and knowledge to teach you how to handle even the most enthusiastic puppy in class. Placing all puppies behind screens is NOT socialisation, nor is it preparing puppies for real life experiences such as vet clinic waiting rooms where there are no screens. 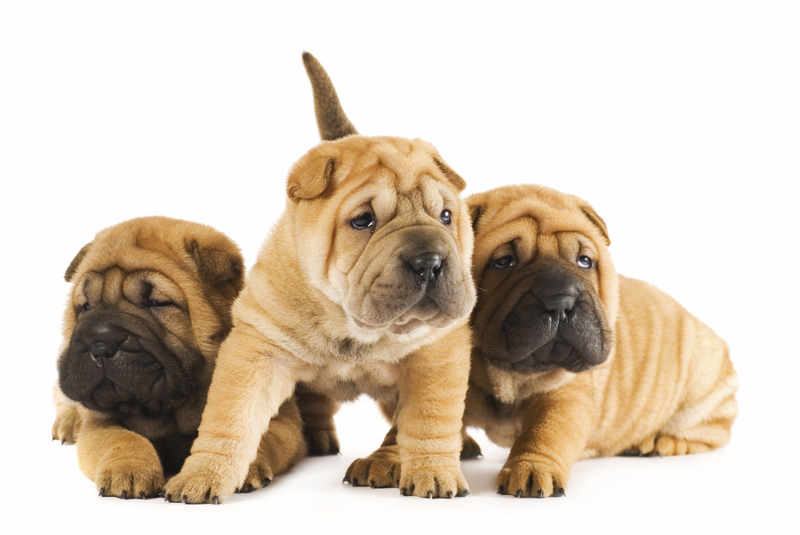 Screening puppies off from one another only causes frustration in the puppies which stays with them well into their adolescence and adulthood causing leash reactivity and aggression. We give you the same instructor each week of our course. Other companies give you a different instructor each week. This is done because the instructors are not capable of conducting an entire course properly and each learns to teach just one week. This means potential behavioural problems are not recognised and advised on.